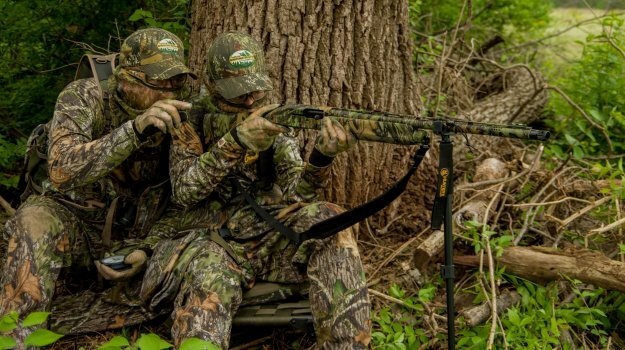 Editor’s Note: Mossy Oak Pro Danny Whitt lives in Archdale, North Carolina, and although he likes all the new Mossy Oak patterns, his favorite still is Bottomland. 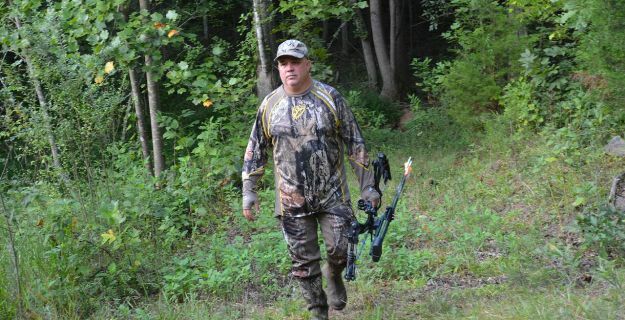 Whitt has two places leased to hunt turkeys, including 390 acres in Caswell County and another little farm 15 minutes from his home that’s 35 acres. Whitt enjoys hunting on the smaller acreage, since it’s so close. He can hunt there before he goes to work in the mornings and hunt the larger property on the weekend. Although I have only 35 acres down the road from my home to hunt, I can hunt there easily, due to its being so close. If I hear a turkey gobble that I think is close enough for me to call, I’ll go and try to work that tom. If I don’t hear a tom gobble by 8:00 or 8:15 am, I’ll go on to work. I repair transmissions for a living, and I need to be at work by 9:00 am. One of the problems associated with hunting that 35 acres is I’m extremely limited by how far I can go to a gobbler, and how long I can hunt him. But if a turkey gobbles on my land or within 100 yards of my property line, I’ll get as close to him as I can move and give him a few calls. If he answers me, I’ve got a very good chance to take that bird. If he doesn’t answer me, I go on to work. This 35 acres offers turkeys some big pastures and a small creek that runs through a hardwood bottom. Another advantage I have there is that during the early 1990s, the National Wild Turkey Federation (NWTF) released a good number of turkeys on this farm. At this turkey spot that’s so good, if a turkey gobbles, and I answer him, but he doesn’t come in right away, if on the next day he gobbles, and I answer him, and he still doesn’t come in immediately, then that’s two mornings he’s missed a date. So, on the third morning, if I call to him, and he answers, he usually will come to me in a hurry. I believe the more days you have to hunt, the more you can learn about the turkeys you’re hunting, and the better your odds will be to bag those turkeys. Since the NWTF released turkeys on this property, those turkeys have multiplied rapidly, so a lot of turkeys are in that area. At first, no other turkey hunters were hunting this region, but over the years, turkey hunters on adjacent farms have learned about the large turkey population where I’m hunting. Unless I tag out early, I’ll hunt those turkeys on that 35 acres from the second week in April until the second week of May most years, which historically has been North Carolina’s turkey season. Although I’m hunting there every day, I’m not remaining on the property for very long. I’m not putting that much pressure on that land either. When the neighboring hunters really put the pressure on the turkeys on their lands, those gobblers don’t hesitate to move into my small sanctuary. Over the last 3-4 years, I seem to take more turkeys on that 35 acres during the first part of turkey season than I do at any other time. The weather plays a major role too in when the turkeys there will gobble. Last year in 2016, the weather still was cold at the beginning of turkey season. However, because I knew this property so well, I understood where the gobblers would be – even when they weren’t gobbling. I still managed to bag a tom on that 35 acres. Something else that helps me out on this property is the 2,000 acre parcel of land that adjoins my 35 acres on the east side of my property. The lady who owns the 2,000 acres doesn’t allow anyone to hunt her land. 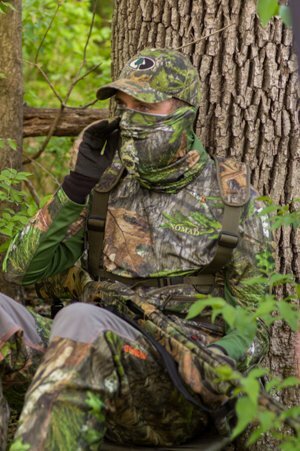 So, when I hunt that side of my 35 acres, if I don’t hear turkeys gobbling close to the property line, I won’t call. Ninety percent of the time, I don’t set out decoys on that side either. But in the 2016 season, I took a very nice gobbler off that side of my 35 acres. 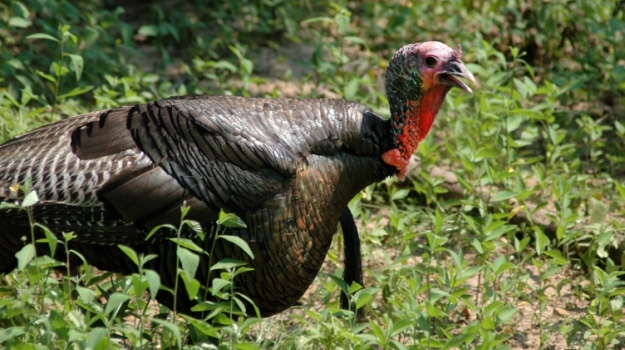 For more information about turkey hunting, check out John E. Phillips’ Kindle and print book, “Mossy Oak Pros Talk Turkey Tactics,” at http://amzn.to/1qZnffi and www.barnesandnoble.com. You also can download a free Kindle app that enables you to read the book on your iPad, computer or SmartPhone. For a free copy of John E. Phillips’ “The Turkey Gobbler Getter Manual,” go to http://johninthewild.com/free-books/ to download. 2012 is the first year the Idaho Panhandle hasn't offered a general antler less elk season. The Idaho Fish and Game Department made the decision because of declining calf and cow survival which has been majorly impacted by predation.